My Healthy Church invites you to settle in and experience their print advertisements in a brand new way! 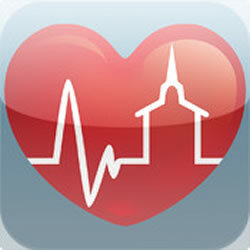 Just look for the My Healthy Church ads featuring the MHC Ad Reader app in major Christian magazines. Scan these specially-enhanced ads with the FREE app and watch the digital content come to life. • Ads are found in major Christian publications like Charisma, Outreach magazine, K! Magazine and Children’s Ministry Magazine. • Compatible with iPhone and iPad. • Hold your device over the entire ad and scan to see the new content. • Hold the device steady for a few seconds to allow the app to read the image.